Mary Margaret Pepperney is my great grandmother. She was born in Charleroi, Pennsylvania on 21 Dec 1902 before marrying Charles Edward Lowry on 22 Aug 1922 in Leetonia, Ohio. The 1940 Census has Margaret, Charles and their son Charles J. living at 207 Thornton Avenue in Youngstown. She died on 5 Apr 1980 in Youngstown. 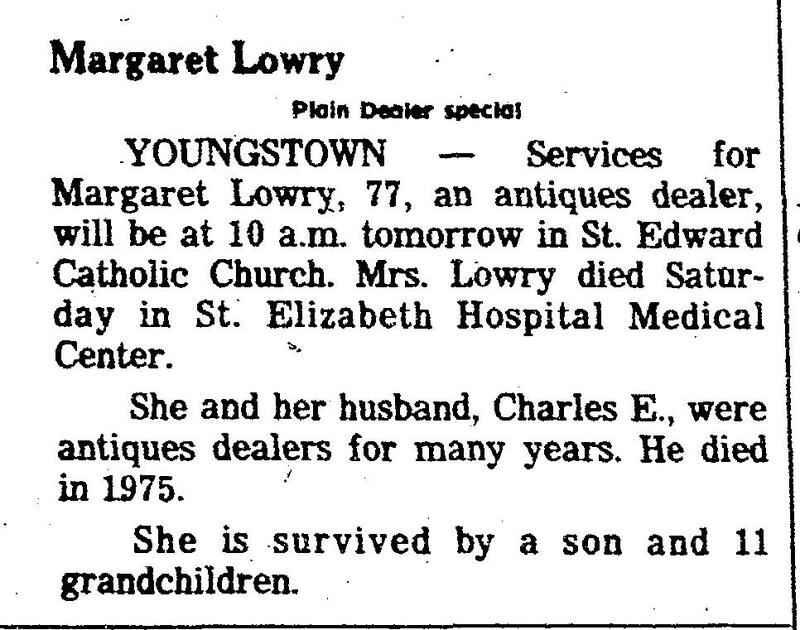 This obituary appeared in the Cleveland Plain Dealer. 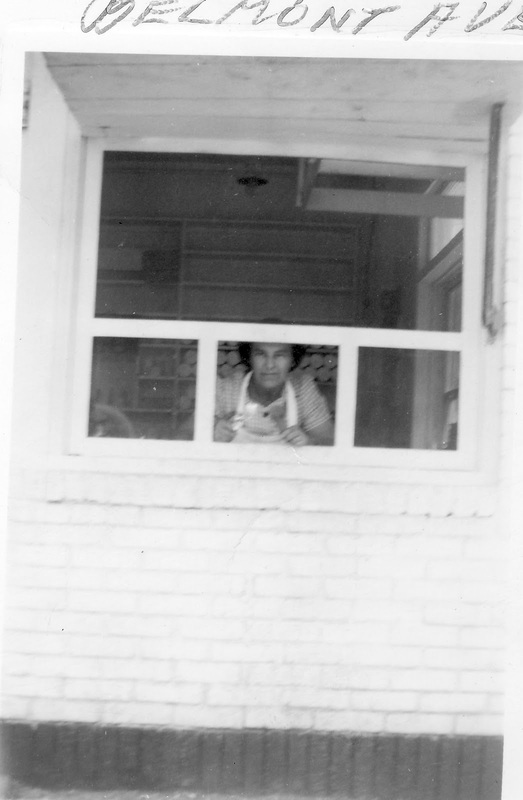 Great grandma Lowry at the family custard stand on Belmont Avenue. Welcome to Geneabloggers! Goodluck with your blog! Welcome to the Geneabloggers community! If ever you stumble on Dutch ancestry I like to include your blog in this list http://patmcast.blogspot.nl/2012/05/dutch-ancestors.html. In the meantime, happy hunting! Joe, I just found your blog thanks to GeneaBloggers. Welcome to the group! In reading over your list of surnames, I noticed you included Soule. I have some Soule family members from the Wisconsin area in my database. Any chance there might be a connection? It doesn't appear so. I have one line (that albeit is not been firmly researched as I'd like) back to George Soule of the Mayflower. Almost all of them are concentrated in Massachusetts, New York and Rhode Island. The Soule name disappears from my direct ancestors with Anna Nancy Soule (b. 1775). Thanks for the welcome Dr. Bill! A family custard stand?? How fun is that?! What a great photo! Thanks for the welcome! Lowry's Frozen Custard was a staple in Youngstown, Ohio for about 30 years. It closed just before I was born. I should do a post on the business. We have a couple of great family photos around the custard stand.